This is why Minecraft is so popular. Like many people I could sit and watch creation videos all day. Whether it's stretching the limits of LittleBigPlanet or full-on 1:1 versions of places like Middle-earth or objects like the Starship Enterprise, modding communities never cease to amaze. This four-hour creation is smaller than a few of the concepts I mentioned above, but it gets the job done nonetheless. 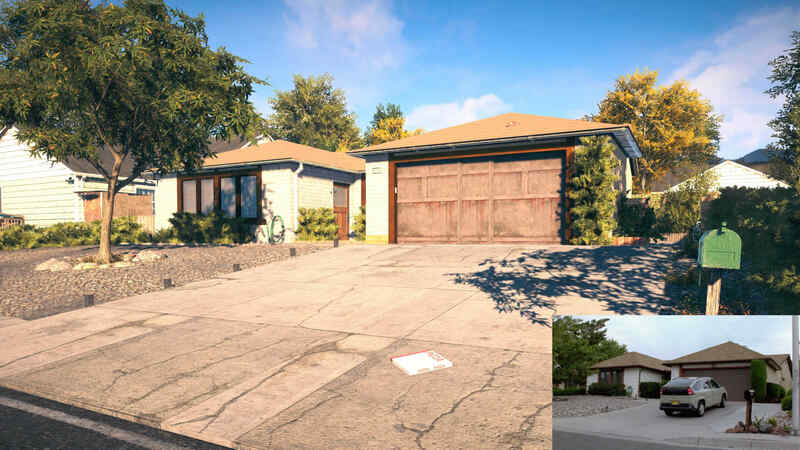 Reddit user duncsmaps managed to re-create Walter White's house from Breaking Bad, and I have to say it's pretty much perfect, down to the pizza on the roof. Given that Better Call Saul is one of the best shows on TV at the moment the franchise is still going strong, and this creation has me hankering for a Breaking Bad re-watch. If you're at all interested in seeing how someone crafts an idea from scratch and puts it into Far Cry 5, there's a short (two minute) speed-through video below of the concept from start to finish.